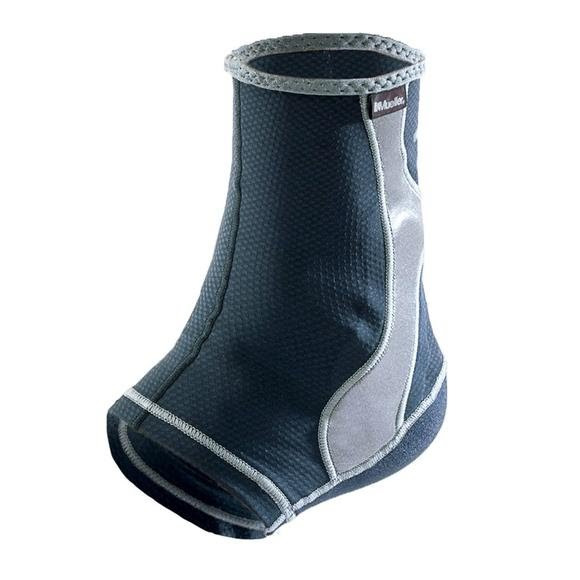 The Mueller Hg80 Ankle Support features gel pads for compression and support for your sore and/or weak ankles. Enjoy lightweight ankle support that's comfortable to wear during any activity. Fits either ankle. The Mueller Hg80 Ankle Support features gel pads for compression and support for your sore and/or weak ankles. Enjoy lightweight ankle support that&apos;s comfortable to wear during any activity. Fits either ankle.